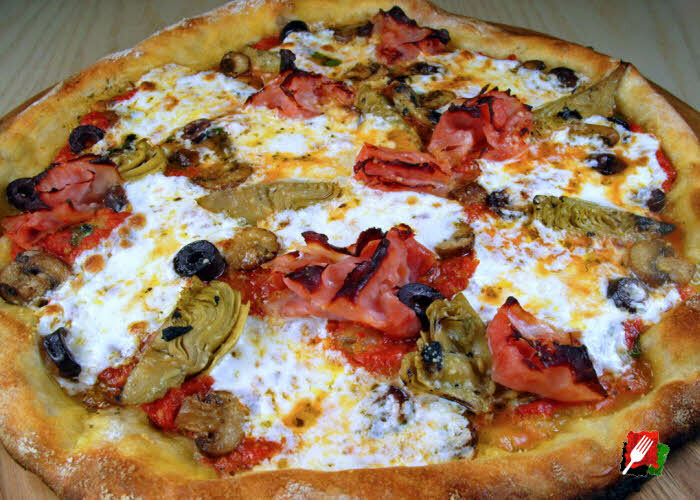 A pizza is a blank canvas for a wide variety of sauces and toppings. 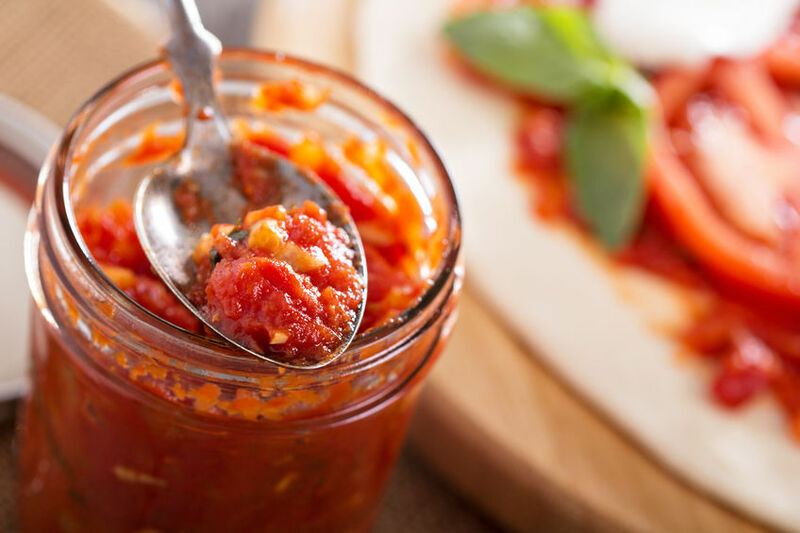 You can use everything from the myriad pizza sauces available from the grocery store – to delicious homemade sauces like our basil marinara sauce, rich and flavorful puttanesca sauce, or roasted tomato jam. 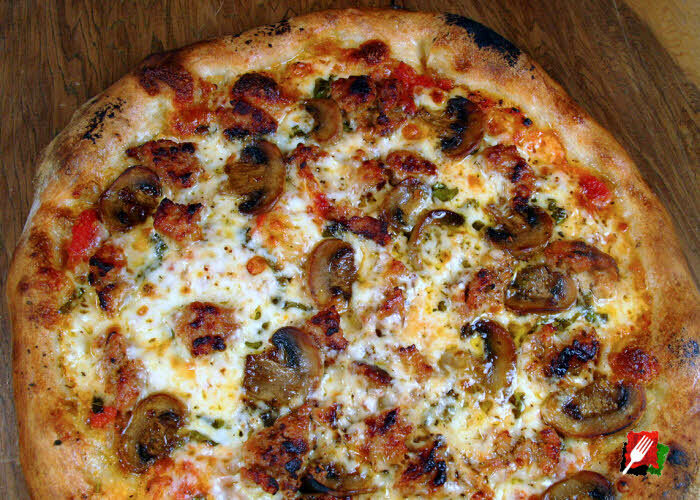 Making a delicious pizza at home is dependent on having a thick and flavorful pizza sauce. 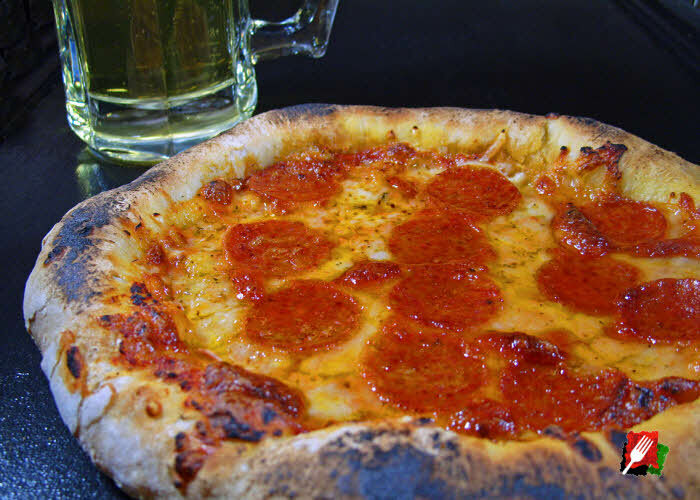 To prevent a soggy crust, it is important to make the sauce thick. Our pizza sauces are made by simply straining any of our three delicious signature sauces: Italymax Marinara sauce, zesty Puttanesca sauce, and rich Roasted Tomato Jam. Refer to the three sauce links above to make the pizza sauce recipe of your choice, then simply strain them to use as a pizza sauce. 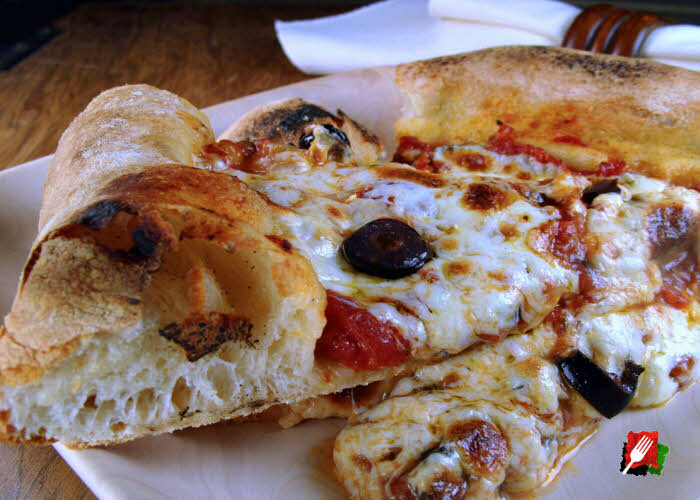 Our thick, rich, and flavorful pizza sauces are made by simply straining any of our three delicious signature sauces. This is our most popular marinara sauce and is the primary sauce used in our Italymax Basesix pizza ingredients featured in most our our pizzas. 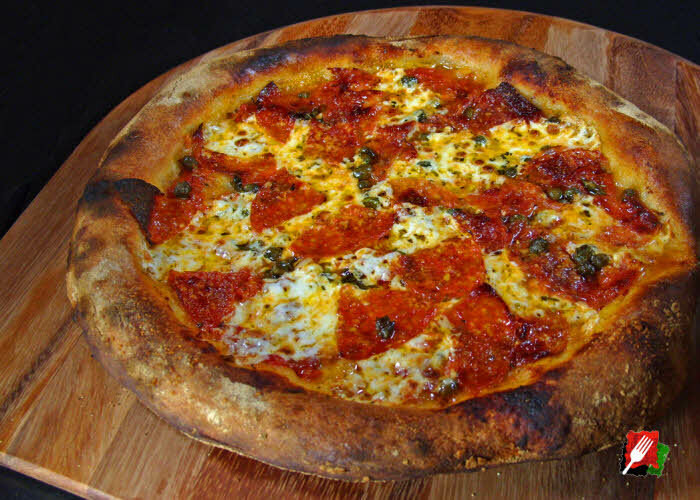 Follow the recipe for making this delicious basil marinara on the Marinara sauce page. When the marinara is done, use a 5″ strainer over a bowl or a large (4-cup) measuring cup, then strain the marinara into the container. 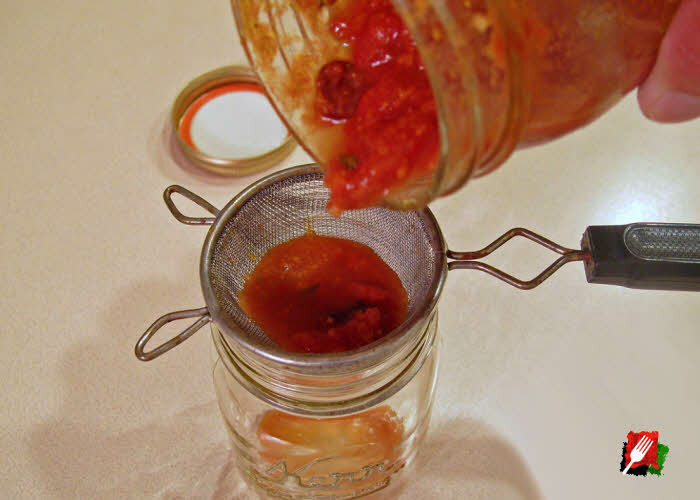 Let the strainer sit over the container for several minutes to thicken, then remove and with a large-mouth funnel, pour the thick pizza sauce into sealable jars such as Mason jars. 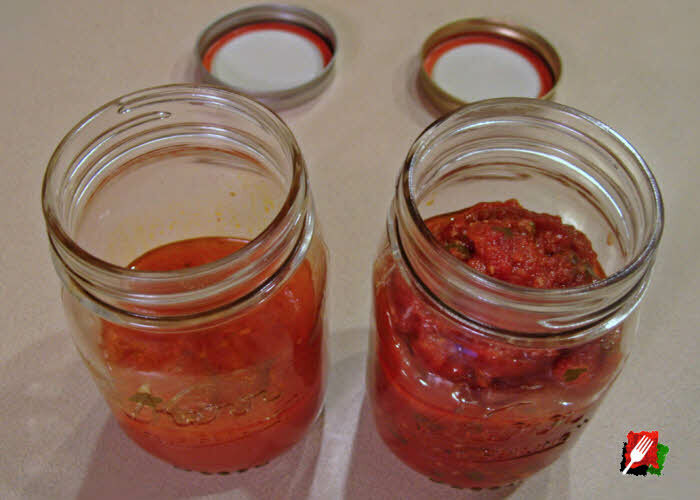 Retain the strained marinara juice in Mason jars for pasta (Cook pasta al dente, then place pasta into pan with marinara juice for incredible flavor). A double batch of our Marinara sauce recipe makes almost 6 cups of marinara. 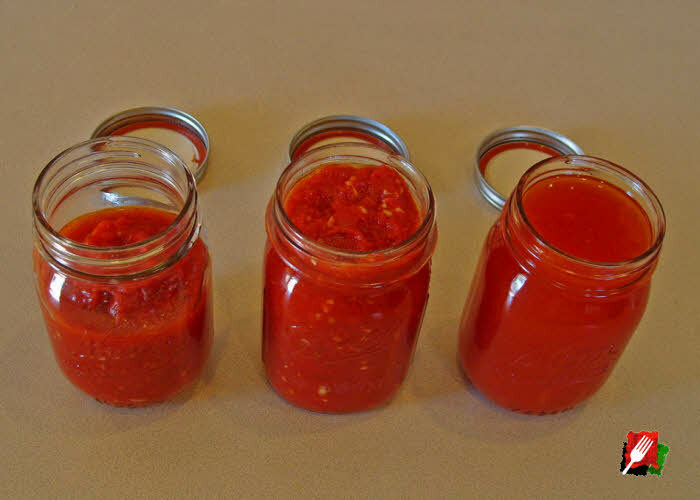 After straining and filling up 2-cup Mason jars, you will usually end up with 2 cups of strained marinara juice and about 3 1/2 to 4 cups of thick pizza marinara. Puttanesca sauce is a tangy sauce that explodes with flavor. This delicious sauce delivers bold, authentic Italian flavors that are a rich indulgence for your Puttanesca pizza. Follow the recipe for making puttanesca sauce on the Puttanesca sauce page. 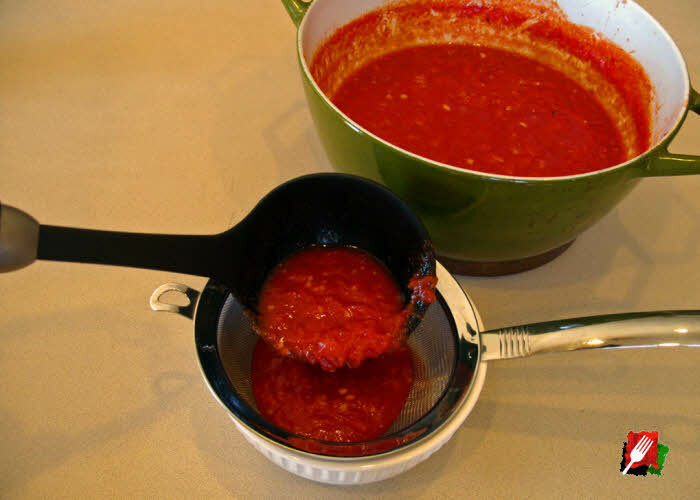 When the puttanesca sauce is done, use a strainer over a bowl, a large (4-cup) measuring cup, or directly over a Mason jar, then strain the puttanesca into the container. Let the strainer sit over the container for a few minutes to thicken, then remove, pour the thick pizza sauce into sealable jars. Retain the strained puttanesca juice in Mason jars for pasta (Cook pasta al dente, then place pasta into pan with puttanesca juice). 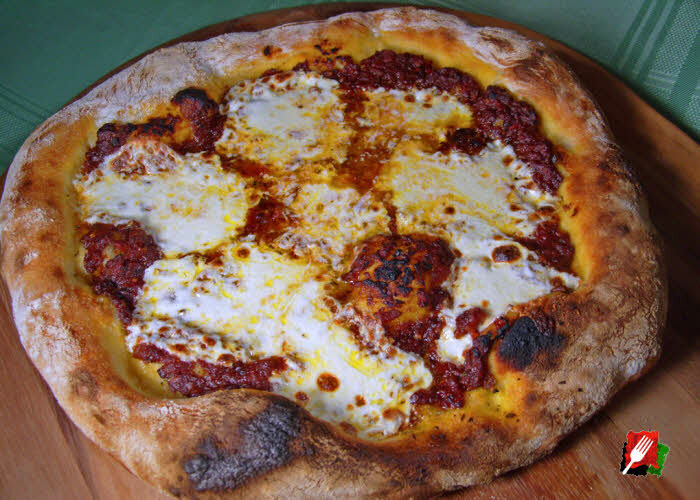 A regular batch of our Puttanesca sauce recipe makes almost 3 cups of puttanesca pizza sauce. After straining, you will usually end up with about a cup of strained puttanesca juice and about 2 cups of thick puttanesca pizza sauce. 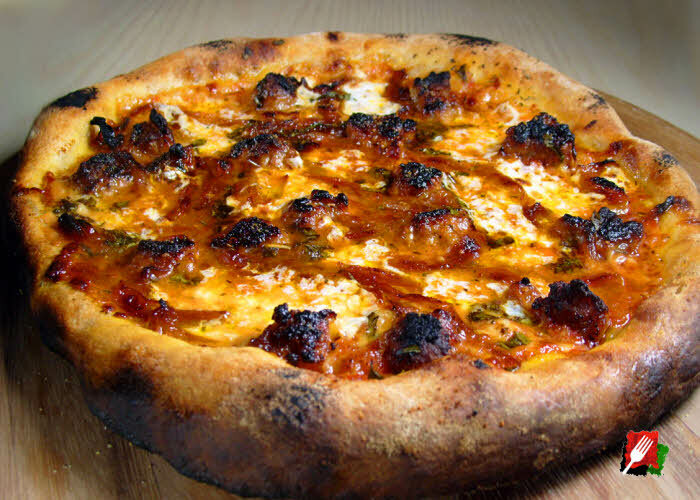 This delicious roasted tomato jam with sun-dried tomatoes, balsamic and basil delivers a richness that is unsurpassed on conventional pizzas. 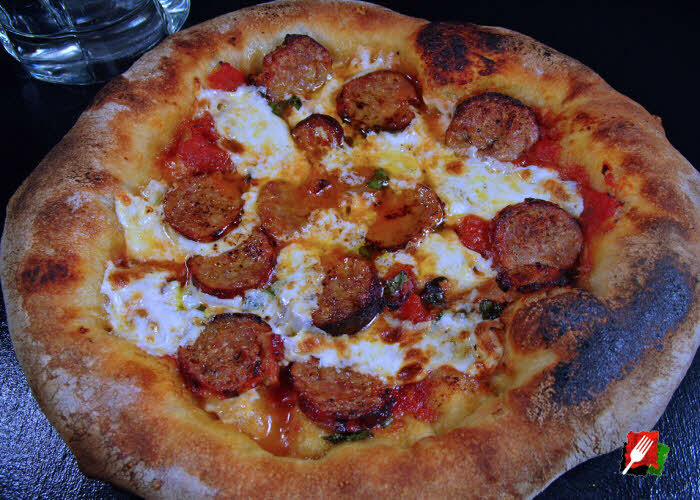 Whether over pasta or our delicious Roasted Tomato Jam Pizza, you will not be disappointed. The good news is this tomato jam is so thick, no straining is necessary. 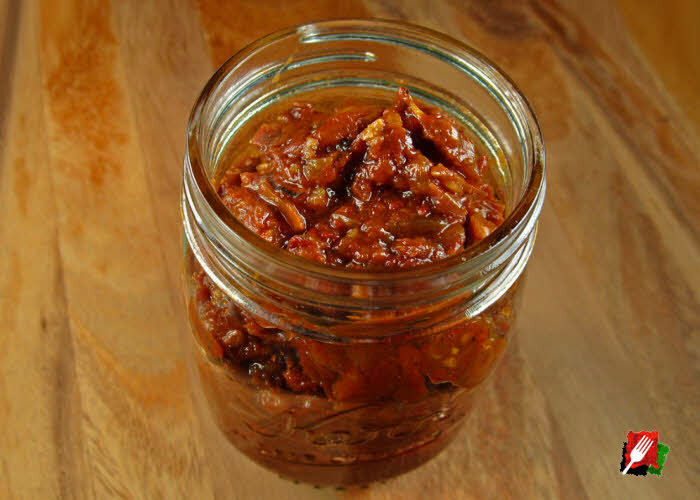 Simply follow the recipe for making roasted tomato jam on the Roasted Tomato Jam page, then use immediately on your favorite pizza or pasta.